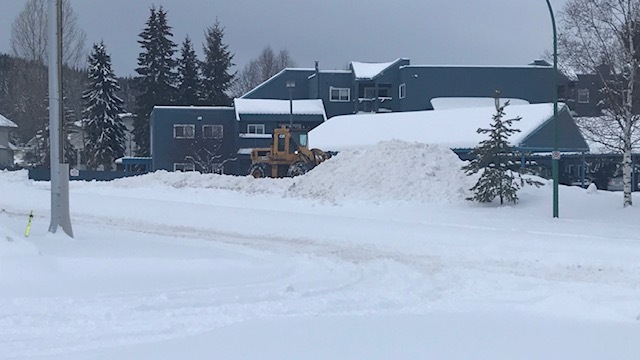 A winter storm warning remains in place for Prince George, Vanderhoof and the Bulkley Valley as a massive dump of snow is expected to wallop the region. The next 36 hours are going to be a challenge for drivers as the white stuff isn’t expected to stop falling until Saturday. As for exactly how much snow, we’re going to get, Environment Canada Meteorologist Lisa Erven tells MY PG Now it depends on where you live. If you do plan on heading out on to the roads, Erven laments drivers should be prepared as the conditions will only get dicier as the snow continues to mount. Alerts are in place for Highway 97 and the Pine Pass along with Highway 16 to the Alberta Border. To make matters worse, overnight lows are expected to dip in to the -20 and -30 range by the weekend.